Celltrion signed an “incubation” agreement with Emory University to jointly research and develop new drug candidates for atherosclerosis. An incubation agreement is an open innovation arrangement in which a firm provides its resources and business capabilities, such as research facilities, workforce and operations consulting, to an external research institute. The arrangement aims to ensure the autonomy of the research while obtaining preferential rights to discuss commercializing the research output. Under the agreement, Celltrion will share its accumulated biologics development expertise with the Emory University School of Medicine and the Wallace H. Coulter Department of Biomedical Engineering at Emory University and Georgia Tech, and provide research costs and manufacturing materials of new drug candidates for atherosclerosis. Celltrion will have a preferential right to acquire a license for inventions resulting from the agreement. Atherosclerosis is a vascular disease, in which the blood vessels are narrowed or clogged due to plaque made up of fat, cholesterol, immune cells and vascular wall cells in the blood vessel. This results in ischemic heart diseases, such as myocardial infarction and angina, as well as stroke or peripheral arterial disease. Ischemic heart disease and stroke are the world’s leading causes of death, accounting for a combined 15.2 million deaths worldwide in 2016. Statins that lower cholesterol and lipid levels in blood are widely used to alleviate the onset and progression of atherosclerosis. Despite the success of lipid lowering drugs, atherosclerotic diseases continue to be a major cause of death worldwide. This highlights the need to develop new drugs that can complement the lipid lowering drugs by targeting new mechanisms of action to prevent and reduce the risk of atherosclerotic diseases, Celltrion said. 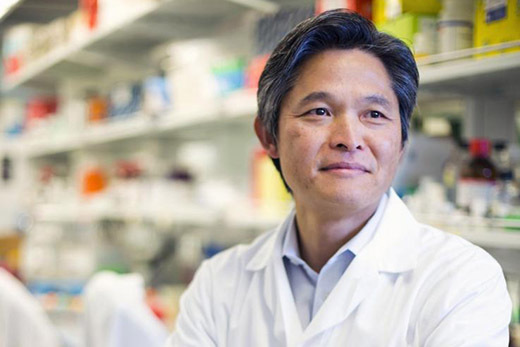 “We are delighted to cooperate with the internationally renowned research team at Emory University led by Dr. Hanjoong Jo, John and Jan Portman, Endowed Professor and associate chair in the Coulter Department of Biomedical Engineering and the Division of Cardiology, who is a leader in the area of mechanically regulated genes in atherosclerosis research,” said Celltrion.